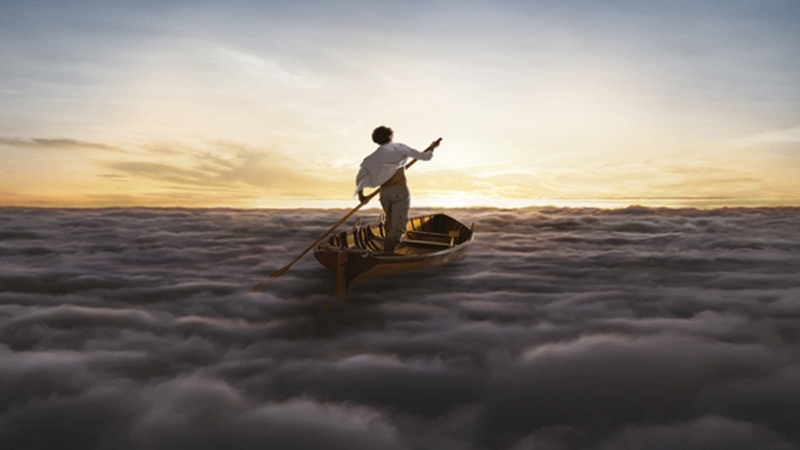 Pink Floyd released their 14th (and possibly final) album The Endless River yesterday, despite the odds being distinctly against them; lead singer Roger Waters wanted nothing to do with the project, keyboardist Roger Wright sadly passed away in 2008, and the band hadn’t released anything for 20 years either. Yet, here it is: The Endless River. And it’s not half bad either (although did you expect anything less from Pink Floyd?)! Pre-2013, no-one really knew what David Bowie was up to. Rumours were abound that he was seriously ill, with some people even claiming that the artist formerly known as Ziggy Stardust was on his deathbed. And then, out of nowhere, Bowie ended his decade long silence by releasing Where Are We Now? and announcing that a new album was on the way. It was a comeback fitting of the most enigmatic man in music, and incredibly well thought-out. Chinese Democracy is near-legendary for it’s ridiculous development. Writing for the album first began in 1994, although a version of the album wasn’t ready until 2000. Unfortunately, this version was deemed rubbish and everything had to be re-recorded. Following on from this, the album took on a mythical status, with various confirmed release dates announced and rescheduled. Some doubted the album even existed, claiming it was little more than an elaborate hoax concocted by Axl Rose. Then in 2006, Chinese Democracy emerged from the wild and was given a release date of ‘this year, definitely, pinky promise, cross my heart and hope to die’. It didn’t come out in 2006. 2007, and a couple more release dates, passed. Then, in 2008, something amazing happened: Axl Rose released Chinese Democracy after spending 13 years and a rumoured $13 million working on it. Given that they now sell out arenas quicker than a butcher flogging sausages at a National Sausage Appreciation Society meeting, it’s easy to forget just how remarkable Take That’s comeback actually was. Pre-2005, the members of Take That (with one notable exception) had largely disappeared from the public eye. Jason Orange and Howard Donald were known more for their funny names than their singing ability. Mark Owen won a series of Celebrity Big Brother, did a song about the apocalypse and then promptly fell off the face of the earth again. And then there was Gary Barlow. Despite being the most talented member of the band, poor Gary had seen the goofiest member of Take That ascend to global superstardom while he…well, we’re not sure what he got up to, to be honest. Then, in 2005, the band released Beautiful World and the rest, as they say, is history. After the tragic death of their lead singer Bon Scott in 1980, AC/DC were at a crossroads: did they call it quits, or did they continue the legacy of their fallen bandmate with a new singer? They opted for the latter, enlisting Brian Johnson for the unenviable task of taking over from Scott. It was a bold and controversial decision (the Scott vs. Johnson debate rages on to this day), but one that ultimately paid off. Just 5 months after Scott’s death, the band released Back in Black – arguably their best album. It’s remarkable enough that they managed to release an album so soon after Scott’s death (two of the tracks are dedicated to him), but the success of the album makes the story even more amazing: Back in Black is currently the 4th best selling album of all time! After years of success in 50s, 60s and 70s, the 80s were a hard time for Johnny Cash. His albums were failing to make much of an impact in the mainstream and, crucially, they were starting to underperform in the country charts too. Enter Rick Rubin. Better known for producing rock and rap albums, Rubin signed Cash to his American Recordings label and encouraged him to release an album of contemporary covers (believe it or not, it was Cash’s 81st album!). Although American Recordings didn’t quite catapult Cash back into the mainstream, it was an extremely bold move – it’s a bit like Cliff Richard teaming up with Timbaland and releasing a series of Katy Perry covers – and inspired a series of albums that produced some of Cash’s best work. What are your favourite musical comebacks? Share them with us in the comments. And don’t forget: you can get cash for your albums with musicMagpie!